What are Land Rover Special Vehicle Operations? Land Rover has been standing out as a trusted vehicle in the Baltimore area for years, and it’s mainly because this model knows just how to do the right things to make it stand out. One key feature of the Land Rover models that make them so desirable is the Special Vehicle Operations, or SVO. This feature helps Land Rover ensure it’s always delivering the vision, innovation, and craftsmanship that’s desired. Read more about Land Rover SVO below. Kicking things up a notch. All Arnold drivers know that Land Rovers are committed to standing out, but what most don’t realize is that these models are driven to take things a step further. The Special Vehicle Operations is a task that’s designated to taking the current great models and bringing them up a level through added performance, innovation, and safety. In fact, there’s a whole team at Land Rover dedicated to ensuring all SVO models meet their expectations. The SVO lineup is created in a state-of-the-art facility that allows Land Rover creators to expand upon their creativity. Models are covered with specialized paints, vehicles can be demonstrated to large crowds, and new attributes and features can be customized to break the molds. Although Land Rover is constantly coming up with innovative models, there are some you should put your eye on now. The Range Rover Sentinel is a luxury vehicle that is fully engineered by SVO, which means it delivers the highest levels of innovation and safety. The Range Rover SVAutobiography combines the fluid versatility of a Land Rover SUV with the power needed to generate excitement through Baltimore. The Land Rover name is synonymous with innovation. 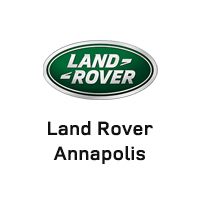 When you want to learn more about the Special Vehicle Operation, stop by Land Rover Annapolis at 101 Ferguson Road in Annapolis, MD, or contact us at (410) 904-3108 to talk with one of our team members about what these models can bring you. 0 comment(s) so far on What are Land Rover Special Vehicle Operations?